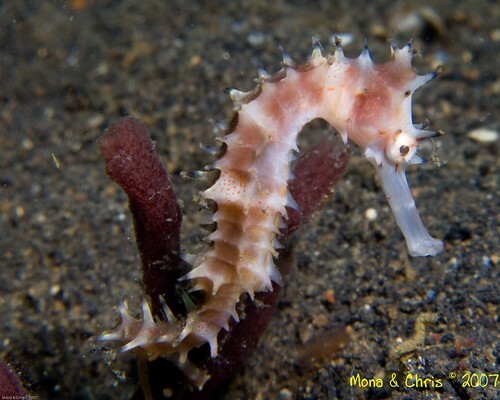 I love seahorses. I’m amazed to see how they behave, move around and hide from us divers. In Lembeh we were lucky enough to see some on almost every dive, from pygmy seahorses to the thorny ones like this specimen. Do you know that the males are carrying the babies.